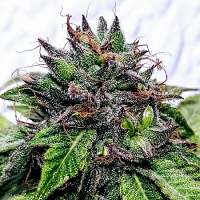 Mint Milano (The Gold Line) Feminized Cannabis Seeds by Cali Connection Seeds: When growing Mint Milano you will find your self thinking such a refined flavor for a flower. She is a great structured plant with a fantastic center kola with great lateral branching. 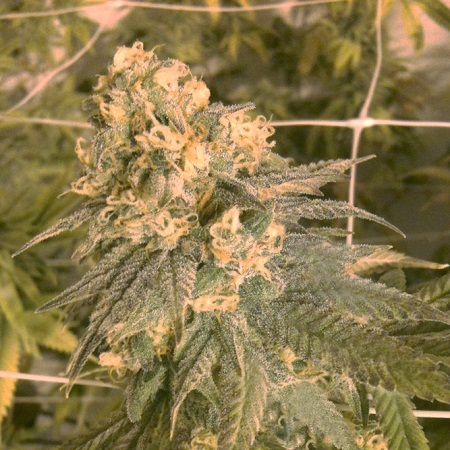 She is a nice and easy to clone plant. 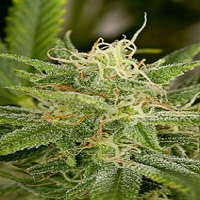 You will want to top and train her to get her to grow out sideways, creating a very full plant. Her yields are nice and solid, but can easily be exploited to yield even more due to her heritage and structure. Her smell and taste is a perfect blend of vanilla/citrus with sweet hash rounded off with a nice and complex mint undertone. She will leave your palate with a nice crisp, yet pungent taste that is long lasting from her exotic flavor. Expect the extracts to be some of the most fragrant you have tried due to her highly exotic terpene profile.